An indomitable force, Goto has earned a following for his displays of courage in the ring. After winning the Young Lion Cup in 2005, he went on a training excursion to Mexico. Upon returning to NJPW in August 2007, he made a surprise move to the heavyweight division. Goto’s many achievements include winning his first G1 CLIMAX, 3-time New Japan Cup winner, though the IWGP Heavyweight belt has still eluded him. In an attempt to turn his fortunes around, he joined CHAOS in March of 2016, and perfected his signature move, GTR, in order to inflict maximum damage to his opponent. While Goto has held the IWGP Intercontinental title in the past, he struggled to become associated with the gold in the same way his rival at the time, Shinsuke Nakamura, managed. As part of CHAOS however, he held the NEVER Openweight Championship four times in a two year spell through 2017 and 2018. 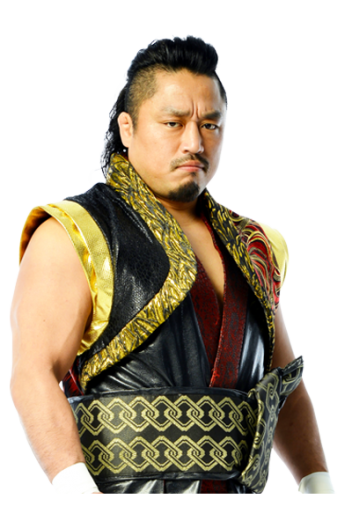 Through battles against best friend Katsuyori Shibata, EVIL, and Minoru Suzuki (including a memorable hair versus hair match at Wrestle Kingdom 12), Goto finally found himself linked to a title he was dedicated to raising the status of. That quest to bring recognition to the NEVER Openweight Championship saw Goto take risks with his opponents, eventually leading to a December 2018 defence against a fired up Kota Ibushi. Goto lost the championship, and found himself off the main card of Wrestle Kingdom 13 as a result. Further discouraged by a first round loss to eventual finalist SANADA in the 2019 New Japan Cup, Goto is having a challenging 2019, but looks to take any opportunity to bounce back.